Make your backyard the envy of the neighborhood with a Weber grill or smoker from Ace Hardware. The Weber name has long been one of America's most recommended brands, and their top-rated products are enjoyed by home cooks throughout the world. Whether you're looking for a top-of-the-line propane grill for hosting your backyard barbecue party or a portable charcoal grill for your next family camping trip, Weber has you covered. In fact, Weber has such a large range of BBQ grills and smokers that your biggest challenge may be figuring out where to begin. 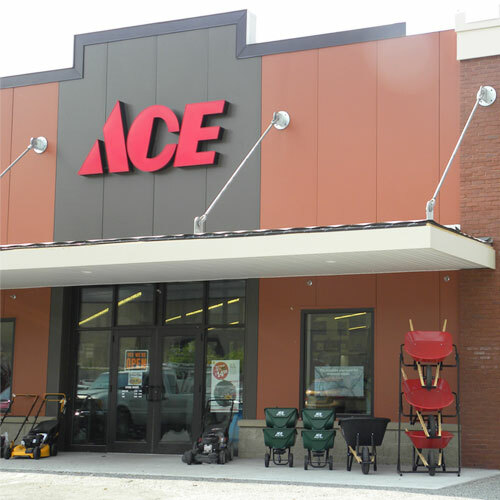 The experts at Ace Hardware understand that investing in a grill is not always an easy decision. That’s why we’re here to help. Keep reading to discover which Weber grill is best for you. The first and most important decision you will have to make is deciding between a gas or charcoal grill. Most home cooks are passionate about whether gas or charcoal is better, so we won't pick sides here. However, we will point out that there are advantages to each type. If you're looking for convenience, choose a gas Weber grill. Easy to turn on and off, these grills make it simple to cook up delicious meats and veggies. Shop small, portable options for tailgating or camping, or browse a full range of sizes for expert grilling in your own backyard. While gas grills tend to be a bigger investment than charcoal ones, you can find big savings on your next Weber gas grill by shopping at Ace. Narrow your search by checking out the natural gas and propane Weber grills now. If you prefer smoky flavor and slower cooking times, pick a charcoal Weber grill. These grills provide greater control over the heat and offer that unmistakable barbecue flavor that makes pulled pork, slow-cooked ribs, smoked fish and other foods taste delectable. While you shop, look for traditional styles that make Weber grills the perfect choice for summer parties. Weber smokers help you turn out food with incredible flavor. Choose smokers if you want tender meat falling off the bone, packed with the flavor of whatever smoking chips you choose to cook with. Weber smokers cook low and slow, so it takes much longer to create your favorite dishes than cooking on a standard gas grill would. Look for options with built-in lid thermometers and silicone temperature grommets to help ensure your meats are cooked properly from start to finish. Once you’ve found the perfect Weber grill, shop top-rated accessories to help make every dish you cook taste amazing. Browse charcoal, smoking chips, grilling tools, grill covers and more from our collection of top-rated Weber products. Shop for your favorite Weber grill online, or head to your local Ace to view a range of grills and smokers in-person. Our helpful staff can also provide expert tips and advice to make choosing the perfect Weber grill for your next barbecue or camping trip even easier.